This is my first time I came across this brand NuCerity which is originated from USA and recently they have just entered the Malaysian market. Skincerity Nightly Breathable Masque one of their star product promises to help our skin feel smoother and look younger in just days. 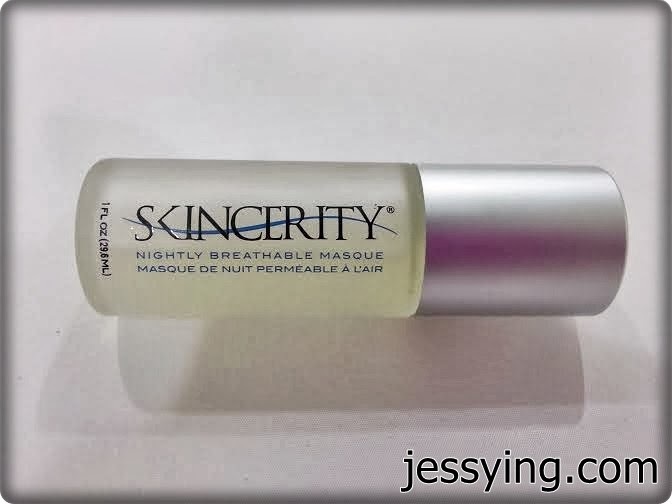 Skincerity claims that they are the world’s only cosmetic product with patented Breathable Barrier technology that seals in our own natural moisture to deeply hydrate our skin. While the Breathable Barrier holds in moisture, it both infuses antioxidants and allows oxygen molecules to penetrate the barrier to help restore and rejuvenate our skin. In simpler words, they protect and seal in the body’s natural moisture to hydrate the skin. I was also told this can treat all kinds of skin problem including acne, acne scar, pigmentation, fine lines, large pores, and even eczema, rosacea or psoriasis. 4. Patented Polymer - create a thin, flexible Breathable Barrier masque that works for hours and functions much like your own skin. Acetone is produced and disposed of in the human body through normal metabolic processes. It is normally present in blood and urine. Acetone is used in a variety of general medical and cosmetic applications and is also listed as a component in food additives and food packaging. Dermatologists use acetone with alcohol for acne treatments to peel dry skin. Initially I was quite sceptical to use Acetone on my face but after reading the above facts from Wikipedia, I feel a little more convinced to give this Skincerity Nightly Breathable Masque a try. The instruction to use is pretty simple, after cleansing the face at night, just apply on this on our face. It also can be used alone or with our favourite skincare products. Do note that if you are applying your usual serum & moistures, do make sure your skincare is fully absorbed and skin is dry before applying this. My first try is to swipe it on my hand, the first thing I smell is Acetone. The scent is really really strong. Actually you may notice Skincerity has already begun to “lift ” a little bit especially after leaving it for a while . I know most of us will be tempted to peel it off but please do not do that because that is not the right way to remove the mask. It would be painful & very drying. Instead gently massaging the skin’s surface with warm water, soap or cleanser. Use a towel or Dermal-Cloth (which was provided) to remove any remaining ﬁlm. While removing Sincerity, it would actually helps to slough oﬀ dead skin cells and impurities from our skin. After trying on hand, definitely I took out my courage to try it on my face. When I rolled Skincerity on my face, I got hold my breathe for a few seconds to let the acetone evaporated to the air (... left me breathless!) because the smell of the Acetone is pretty strong. And in fact I was sneezing a few times after that because I have really sensitive nose. The smell of Acetone faded away after a while and by then the masque on my face is already dry up. The roller was pretty easy to use but you got to be fast with your hands because you supposed to hold your breath as you are rolling it on your face remembered? On some areas on my cheek which are more sensitive I feel a tingling session however it was gone after a while. My face feel tight once the masque is dried up. It feels like those peel off mask, where you not suppose no talk or laugh... or you will create more fine lines on the face. I think that's why they suggested to apply this before sleeping (unless you talk in your sleep). After 30 minutes, I decided to remove it with the given Dermal cloth. Some masque on my forehead stuck on my hair and it is a hassle to remove it ( so you got to be careful where you apply). As this masque is not dis-solvable, remember to picked up from the basin and throw it at the dustbin. After washing it off, I do feel my skin feel softer and firmer. And when I look in the mirror I do see my skin feel brighter by a little bit and pores appeared smaller. I wonder if I have left it overnight, the result would more drastic. Note : My usual my advice is if you have sensitive skin, do a patch test before using this on your face . If the Acetone scent is not that strong that will actually trigger my sensitive nose, I would actually try it a few more times to see if it will really lighten my pigmentations. 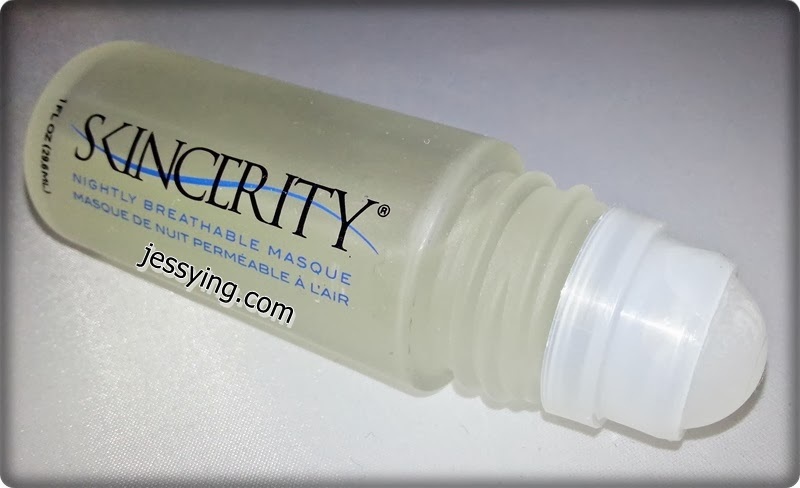 As NuCerity is a MLM company from USA, the prices for Skincerity Nightly Breathable Masque differs for non-member, member and preferred customer. For now, the price is fixed in USD and it's floating following the market currency. The pricing will be in fixed in our local currency (RM) once the office in Malaysia is opened in April. Each bottle of NuCerity Skincerity Nightly Breathable Masque is weight at 30 ml and lasts approximately 30-40 days with daily use. It's selling at $139.95/bottle (For non-member) and US$76.95/bottle (For Preferred Customer). Also non-member can buy as preferred customer where they get to sign up for auto-ship so they'll get to continue to enjoy the product even when they forgot to place order when their current product is going to finish soon. 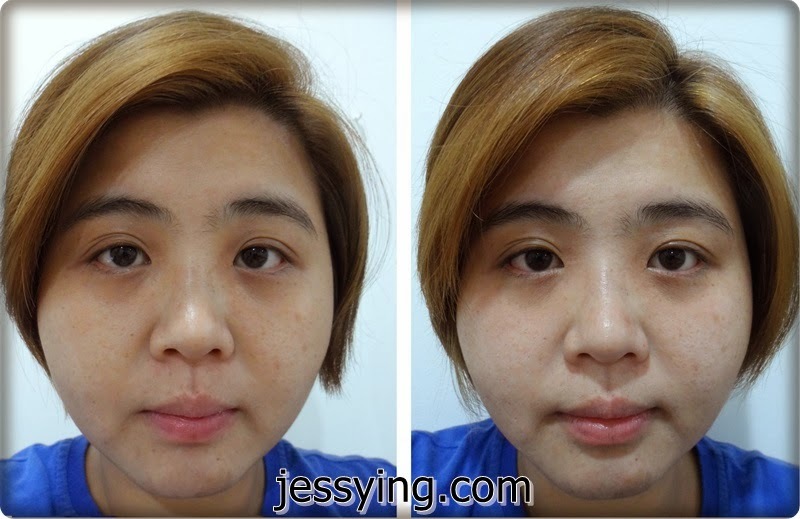 For more info how to buy Skincerity Nightly Breathable Masque in Malaysia check out the link here.